Where would you receive the warmest welcome? Earn the most? Find it easiest to raise a family? We asked more than 14,000 expats in 191 countries to find the answers. Curious to see how your expat experience measures up?For the third year in a row, Expat Insider — one of the largest expat surveys worldwide — offers an in-depth analysis of everyday expat life across the globe. It covers a wide range of topics, from basic facts about demographic data and the moving process to participants’ happiness in their new home. MALTA 2nd place, Newcomer Taiwan has dethroned the winner of 2014 and 2015, Ecuador. The Asian Tiger performs extremely well in the Working Abroad and Personal Finance Indices, but also scores for other factors, like healthcare. For the country ranking, survey participants were asked to rate 43 different aspects of life abroad on a scale of one to seven. The rating process emphasized the respondents’ personal satisfaction with these aspects and considered both emotional topics such as the friendliness of the local population as well as more factual aspects (e.g. affordability of healthcare) with equal weight. The respondents’ ratings of the individual factors were then bundled in various combinations for a total of 16 subcategories, and their mean values used to draw up five topical indices. These five indices, as well as the responses to the question: “how satisfied are you with life abroad in general?”, were then averaged in order to rank the 67 countries above. Compare Malta and Italy from a foreigner point of view, and make your consideration about the investments’ flow and ask Maltaway … what can I do ? How do you see the future of Italy , of a person or entrepreneur , honest , not parasitic , competent , creative , motivated to grow and create ? Which country offers a quality of life , gorgeous weather 12 months a year , cost effectiveness , frequent connections and low cost flights (max of 2 hours from your city) , a stable country system of rules and tax, very competitive in the global arena and in Europe as well? Where you can find an open large international community and a Regulations’ model designed to attract great people , companies , ideas and capital, able to grow together in a multi-cultural country ? We, after a long and in-depth comparison of experience and analysis, we have the answer ! Which country offers exceptional quality of life, gorgeous weather 12 months a year, low cost of living, frequent and low cost flights to a maximum of 3 hours from your EU city, a system of rules and competitive tax around the world ? Malta is strategically located at the heart of the Mediterranean with very close ties to mainland Europe, North Africa and the Middle East. The island is considered the best choice for investments in knowledge based sectors and high end manufacturing. Due to its excellent port infrastructure, Malta is also considered an ideal logistical hub. This, together with EU membership, makes the country a perfect gateway to the Euro-Mediterranean region and further. Malta has undergone an incredible transformation in the few decades since independence was gained in 1964. Four decades later, with a fully functioning open market economy, joining the EU in 2004 was seen as a natural step towards securing the economic future of the country. The adoption of the Euro in 2008 ensured that the economy would not be vulnerable to currency fluctuations and would allow the nation to be more competitive. Progress and flexibility are key factors in the success of Malta’s ability to react quickly to international trends and the global market place. Our pro-business government continually seeks to strengthen Malta’s attractiveness as an open market economy. The exogenous shocks of the global recession inevitably had an impact on the local economy. However, it should be noted that Malta was one of the last countries within the European Union to enter the recession and it was also one of the first countries to rebound from the economic downturn. In essence Malta showed great resilience and emerged in a strong position. The country’s national language is Maltese but both the latter and English are official languages in Malta. This certainly adds to the destination’s appeal for visitors, traders and investors. Practically all Maltese are bilingual and many are also conversant in Italian. Some may also have at least a working knowledge of French or German. Foreign language fluency as a percentage of the population is as follows: English 88%, Italian 66%, French 17% and German 6%. The success of a business is not achieved by financing or technology but is ultimately determined by people power. The labour force in Malta is a very productive one, highly educated and extremely flexible with an excellent work ethic. Our people are our greatest natural resource and the country has good availability of professional, managerial and technical staff as well as a ready supply of top graduates most of whom are technology-experienced. The link between education and industry is vital for our competitiveness. Education and HR-related strengths top the criteria for choosing Malta as an investment destination. Malta is now an internationally recognised financial services hub. However, due to the sector’s traditional and conservative approach it never experienced a real financial crisis. Indeed, the strength of the financial services sector was a critical contributing factor to the speedy emergence of Malta’s economy from the recession. In fact, the reputation of the Maltese financial services sector improved considerably due to the resilience and stability it showed during the financial crisis. This did not go unobserved in the global scenario and the impeccable reputation of the local financial services is expected to fuel further growth in this sector. It has always been considered strategically important to the country’s human and economic advancement to be well connected with the rest of the world. As such there has been a great deal of investment and consolidation in order to create and ensure a reliable Information Communication Technology (ICT) infrastructure. Malta’s fully liberalised and developed ICT infrastructure has certainly contributed to the island fast becoming a regional centre of excellence in ICT and financial services. A long-standing, full imputation tax system has existed in Malta since 1948. The rate for corporate taxation in Malta stands at 35%; however upon distribution of dividends, shareholders may qualify for a refund generally equivalent to 6/7th of the tax paid, thus resulting in a paid tax rate of 5%. There are many reasons why investing in Malta makes good business sense but it is not enough for the figures to add up and the stars to be aligned. In this day and age – where time, health, safety and true quality of life are precious commodities – Malta scores highly on all these aspects. Travelling distances are minimal, the healthcare facilities, which rank among the best in Europe, are first-class in both public and private hospitals and the crime rate is very low. However, the biggest selling point of the island nation is undoubtedly the lifestyle that investors and their families enjoy in the country. Indeed, those thinking of investing in Malta are highly recommended to visit the nation to explore and experience for themselves the wealth of history, culture, hospitality, bars and restaurants. That way they can also get a real taste of the flavoursome Maltese and Mediterranean cuisine that the country offers. 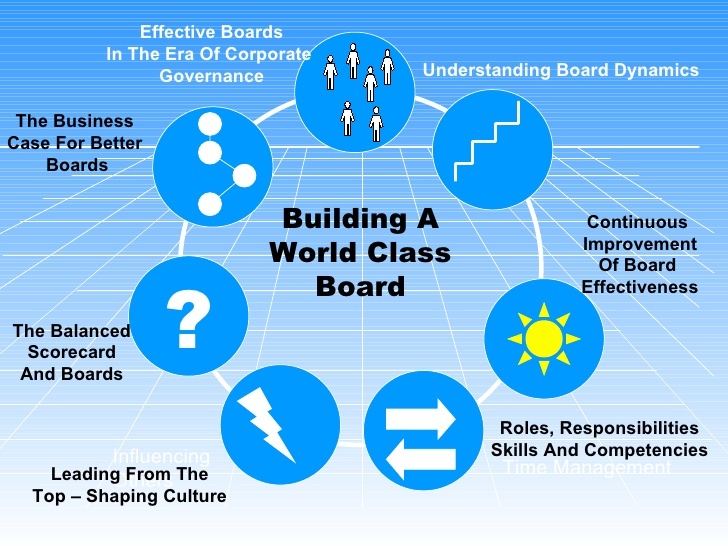 Why boards succeed or fail and how to make them better are critical questions for corporate governance. We know that board composition—who the directors are and what backgrounds and perspectives they represent—can influence important outcomes like firm value and sales growth. But the full spectrum of these relationships is far from fully understood. We conducted a study, recently published in the Academy of Management Journal, to learn more about a neglected dimension of board composition: the proportion of domain experts. That is, the percentage of directors whose primary professional experience is within a firm’s industry. Though companies can easily manipulate the proportion of directors with domain expertise when building a board or appointing new directors, we know virtually nothing about its effects on corporate performance. Common sense might suggest that the more experts, the better. 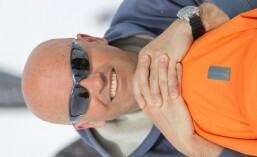 Domain experts know the ins and outs of an industry and are highly skilled at assessing risks and opportunities. But our interviews with board members and CEOs in the banking industry—and decades of research on experts and teams—point to three factors that can compromise the effectiveness of expert-dominated boards, at least in some circumstances. The first factor is what psychologists call “cognitive entrenchment.” As we gain deeper expertise in an area, we acquire more accurate and detailed knowledge but also become less flexible in our thinking and less likely to change our perspective. So expert-dominated boards might be less effective in responding to new information or unfamiliar situations. Indeed, related research shows that executive teams made up of many industry experts are less flexible in responding to changes in the competitive environment. Our own interviews also confirm this idea. Many of our interviewees emphasized the “baggage” that domain experts bring with them to a board. Domain experts “brought with them habits from the other institutions and perhaps those habits were not always good,” one CEO explained. Our research shows that these three problems of expert-dominated boards are most likely to be damaging when a company veers off the beaten path and faces uncertainty. Dealing with changing, unfamiliar situations requires flexible thinking and a healthy dose of disagreement. And when conditions are novel or ambiguous, expert overconfidence is especially severe. We studied 17 years of data on roughly 1,300 community banks—banks that have their own legal charter, aggregate assets below $1 billion, and a locally focused business model. The boards of some community banks include mostly domain experts, that is, directors whose primary background is in banking, typically as executive vice presidents or above. Other boards include a few banking experts but also directors with backgrounds in law, insurance, medicine, the public sector, the military, and other fields. In our sample as a whole, there was no clear relationship between the proportion of domain experts and a bank’s financial performance or survival chances. At first glance, whether a bank’s board had many domain experts or just a few didn’t seem to matter for profits, growth, or the likelihood of bank failure. But then we looked specifically at banks that faced heightened uncertainty for some reason—for example, because they were growing rapidly in an uncharted market territory or because they were operating in a lending market with unusual loans and atypical, heterogeneous clients. In such situations, there was a clear link between the proportion of domain expert directors and the probability of bank failure. The more banking experts on the board, the greater the likelihood that a bank would go out of business. Our findings persisted even when we controlled for a host of other factors, including functional diversity, and they weren’t simply driven by banks appointing more experts in response to financial trouble or uncertainty. At the same time, it’s important to note that most boards in our sample included at least two banking experts, or roughly 20% of board members. So our results don’t mean that having no experts at all is optimal. What they suggest, instead, is that it’s important to appoint a non-trivial number of directors whose primary expertise is in another industry—especially if the board is likely to face significant uncertainty. It also may seem obvious, but it’s worth remembering that high proportion of domain experts is not the same as the absence of professional diversity. For example, a board of a telecommunications company that includes five telecommunications experts, two lawyers, and two bankers is exactly as diverse in terms of professional backgrounds as a board of another firm in the same industry that includes two telecommunications experts, five lawyers, and two bankers. But these boards differ greatly in the proportion of domain expert directors—five versus two, out of nine board members. This is just the first study on this issue. It will require further research to confirm that the link we found is causal and that it exists in other industries as well. But it’s an important first step in gaining a deeper understanding of how boards work—and how companies can make them stronger. Are corporate boards as polarized politically as the general population? That’s one of the questions we asked ourselves as we conducted a survey of directors of public and private companies headquartered in the United States. As with the general public, we found differences among demographic groups. Female directors are much more evenly split between the two main political parties. By comparison, male directors are more than twice as likely to identify as Republicans than Democrats. Our limited sample sizes suggest that African American/Black and Asian/Pacific Islander directors are more likely to be Democrats than their white (not Hispanic) counterparts, and single directors are more likely to be Democrats than their married counterparts. We did not find any notable differences by age group or education. We also found that industry matters. 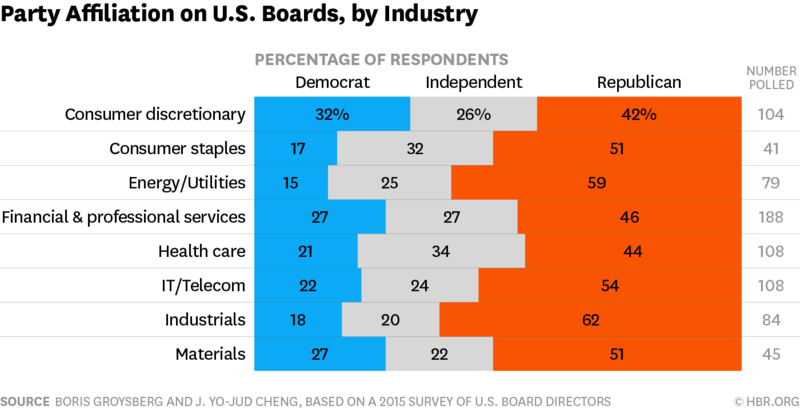 Boards of companies operating in the consumer discretionary industry have a disproportionately high representation of Democrats, while boards operating in the industrials and energy and utilities industries skew more Republican. The proportion of Democrat and Republican directors does not substantially differ between public and private firms. We found that directors of all political stripes care a lot about the economy and cybersecurity, and that Republican and Democrat directors are aligned in their concerns about political instability and healthcare costs, even though they may have conflicting views on how these costs should be contained. Alongside these commonalities, we also found some notable partisan differences. Democrats are less pessimistic about the economy: 10% of Democrats expect a global economic slowdown in the next three years, compared to 18% of Republicans. Democrats care more about economic justice, environmental sustainability, and equal rights for women. Republicans care more about corporate tax rates, the national budget deficit, and regulation. 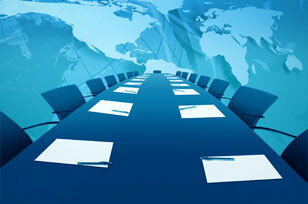 The ideological divisions we’re seeing in the political arena have permeated the boardroom. The disparities in the perceived importance of these issues could affect how directors prioritize and choose to address risks to the company. Directors are also consistent in their views of the key challenges to achieving their companies’ strategic objectives: attracting and retaining top talent, the regulatory environment, and domestic competitive threats top the list for directors from both parties. Our limited sample suggests that both groups agree that board leadership should serve as champions of board diversity, but they differ on the policies they advocate to increase board diversity. Republicans generally favor developing a pipeline of diverse candidates through director advocacy and mentorship, while Democrats are more likely to favor requiring that every director slate include diverse candidates, or that boards implement targets for diverse membership. 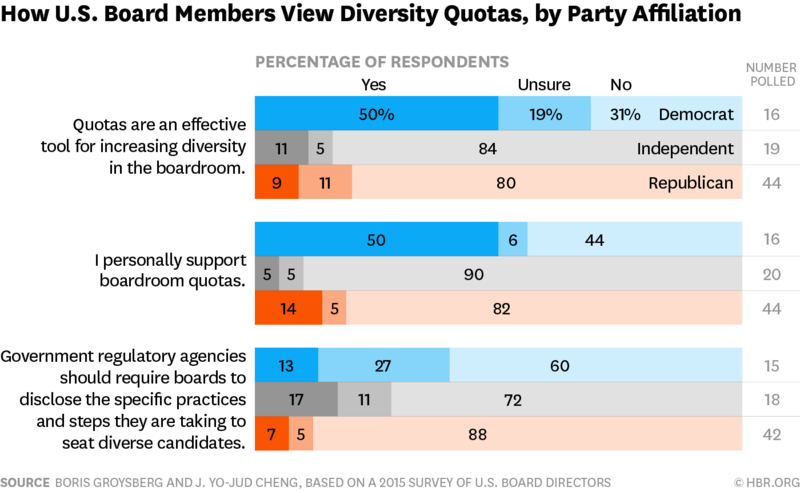 Democrats are also more strongly in favor of boardroom quotas for diversity, and Republicans are strongly against disclosure requirements on steps taken to seat diverse director candidates. 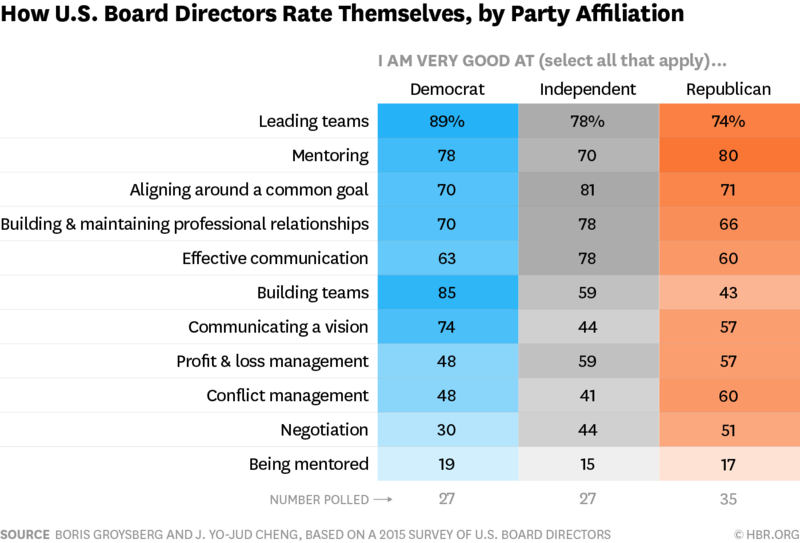 We found differences in how Republican and Democrat directors view the performance of their boards. 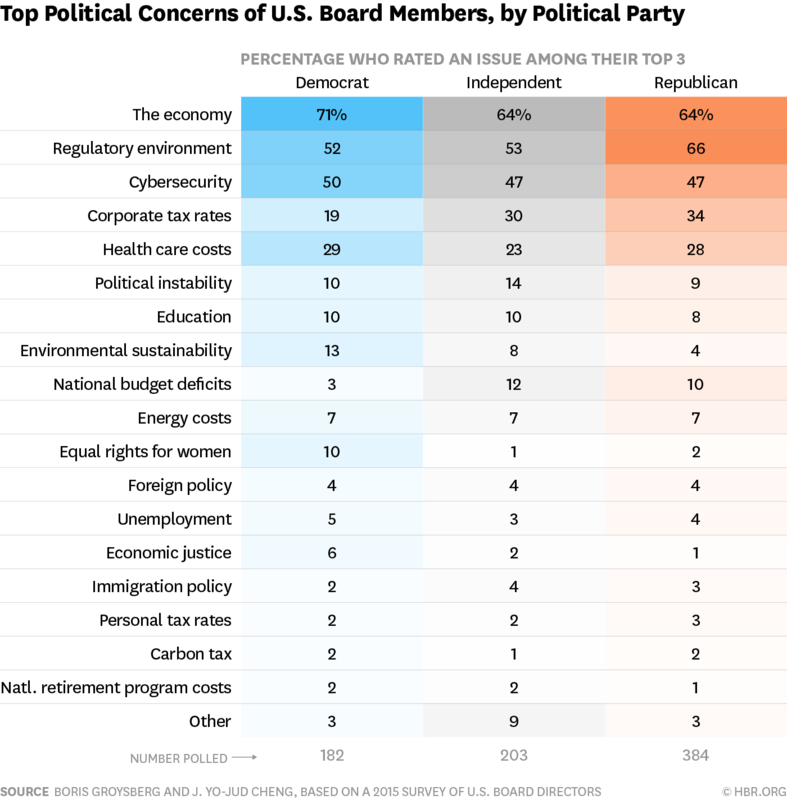 Both Republicans and Democrats say the most effective board committee is audit/finance. However, Republican directors are more likely to identify the compensation committee as the least effective committee. Interestingly, Republican directors think the compensation level of the CEO of their company is “too high.” Directors of both political views rate their boards similarly on processes, dynamics, and effectiveness as a whole, but differ on the question of compensation. 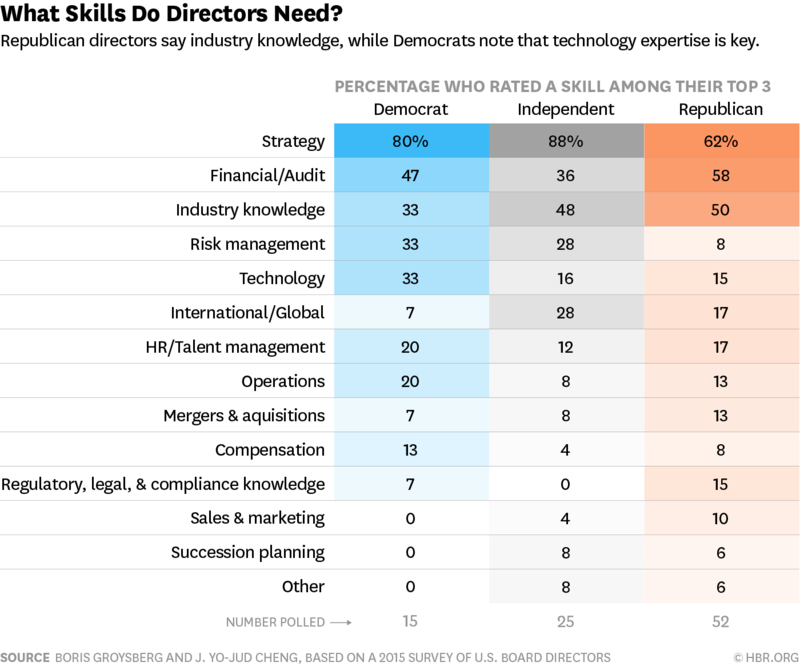 Democrat and Republican directors diverge on the skills they think are most important for board service today. Republicans prioritize industry knowledge, financial and audit expertise, and international expertise more than their Democrat counterparts. Meanwhile, Democrats place greater importance on technology expertise and risk management. It’s important to note that the representation of Democrats on risk committees is disproportionately high. These differences can manifest themselves when boards identify and select candidates for open board seats or when evaluating other directors. We also looked at how Democrat and Republican directors diverge on their self-evaluations. More Republicans consider themselves to be very good at negotiation, while more Democrats consider themselves to be very good at building teams. Overall, directors from both sides are bringing diverse strengths to the table. Why does all this matter? Boardrooms are not insulated from the widening rifts in political ideologies in the United States. Democrat and Republican directors differ in their economic outlooks, evaluations of the most pressing political issues, approaches to increasing board diversity, and even in their assessments of their own skills and strengths. Political affiliation is another form of board diversity–one that is rarely discussed, but could have profound implications on how corporate boards function and set priorities. Having directors with a range of political philosophies can invigorate board discussions and ensure that a wide array of issues and solutions reach the boardroom. Maintaining a diversity of political perspectives is an important consideration to ensure that boards are equipped to anticipate and tackle the multitude of challenges that confront companies today. Hai mai pensato di trasferirti a vivere all’estero? Hai mai sognato di andartene e di cercare una casa altrove o di trasferire le tue attività? Hai mai pensato di andare a vivere a Malta e di cercare casa a Malta? Un posto dovesognare e provare gioia. Prova a navigare sul sito per CERCARE LA TUA CASA e sogna insieme a noi……. Comprare una casa, oltre a rispondere alla necessità elementare di avere un tetto sotto il quale proteggersi e di soddisfare gli altri bisogni biologici e sociali , è uninvestimento ed è questo il lato che trattiamo qui oggi. Perchè questo investimento produca un reddito o una rendita e, all’atto della sua cessione, anche un incremento reale (al netto dell’inflazione) del capitale investito, ci sono 3 condizioni chiave che devono essere rispettate per una scelta che mostri la sua saggezza nel tempo. PREZZO, PREZZO, PREZZO: questa è la prima condizione, una volta data non è più modificabile. L’affare va fatto al momento dell’acquisto e comprare una casa sopra i valori di mercato nel tempo non produrrà risultati . Se il prezzo sarà davvero stato un buon prezzo lo scoprirete dalla differenza con quello al momento della vendita della vostra casa. Prima di andare a trattare un acquisto costruitevi una alternativa di acquisto reale perchè sarete in grado, in pratica e psicologicamente) di condurre una trattativa al meglio e di spuntare un buon prezzo. LOCATION, LOCATION, LOCATION: questa seconda condizione è anch’essa tendenzialmente immodificabile. Comprare la casa in una zona o un quartiere rinomato, ben servita dal trasporto pubblico, protetta dalle condizioni di traffico, rumore e inquinamento, una vista e un contesto unici, sono elementi che danno valore nel tempo perchè tutti li vogliono e tendono ad essere più rari. Queste condizioni possono cambiare nel tempo, in meglio ma anche in peggio, controllate i piani e i progetti della macro area e del territorio confinante che possono modificare le condizioni di contesto in cui la casa dei vostri sogni è inserita; una nuova area a verde pubblico, un palazzo di lusso, un porto e una marina attrezzata o una nuova strada possono modificare nel tempo il valore della location in cui la vostra casa è inserita. Queste 3 condizioni devono essere sempre rispettate ovunque vogliate investire . Se avete deciso per un investimento immobiliare all’estero prendete in considerazione l’ipotesi di investire a MALTA. Situazioni di debolezza continua dei prezzi in Europa del Sud, Spagna, Francia e Italia e in contrasto mercati surriscaldati nelle capitali Nord Europee, UK e Svezia. Secondo se l’investimento ha una solida base finanziaria, la misura è il rapporto tra PREZZO e RENDIMENTO. Come MALTAway abbiamo identificato, selezionato e costruito una risposta alle necessità di formazione linguistica per Executives, managers e dipendenti delle aziende davvero attrattiva e competitiva sia rispetto ai corsi offerti in UK sia a quelli presso le scuole di moltissime città italiane. Maltaway offre la possibilità di organizzare corsi di Inglese Corporate a Malta in un contesto che coniuga la professionalità delle scuole e la competenza dei docenti, un ambiente internazionale, prezzi competitivi con momenti di svago in un luogo di cultura, natura e mare. L’azienda potrà valutare e decidere quale parte di questa soluzione sarà offerta come benefit ai suoi dipendenti, magari in cambio del loro periodo di ferie, e quale rimarrà direttamente a loro carico. Nell’ambito dell’ampio panorama delle scuole di lingua a Malta, noi abbiamo selezionato e individuato quelle che possano garantire un servizio in funzione di tutte le esigenze aziendali, con estrema flessibilità e collaborazione e con il migliore rapporto qualità/prezzo. As the old adage famously goes: you say tom-MAY-toes, and I say tom-MAH-toes. We should probably call the whole thing off, right? Ever since the might of the British Empire was expelled from the United States, ordinary folk from both sides of the pond have chuckled at each other’s use of the English language and pronunciation. Here are several important examples you need to remember – simply to make sure no one gives you a weird look when you’re off on your holidays. Business travel isn’t like going on vacation. Your time becomes more valuable and cost becomes less of a consideration. If you’re new to business travel, or even if you’ve been out of the game for a while, here’s a guide to business travel. Knowing your company’s policies will save you a lot of time and hassle. If you work for a company with more than a handful of employees, it will likely have a travel policy. That policy will dictate everything from how you can spend money to where you can spend it. Your company will likely have a preferred airline, hotel chain and rental car partner. How rigid a company’s policy is can vary, but policy exceptions can usually be obtained for billable travel, traveling with clients or for special events. At some companies, you’ll need to use your corporate credit card for everything, while other companies will have you front all the cash for business travel and be reimbursed later. It’s critical that you know your company’s policies and that you follow them in order to avoid problems down the road. 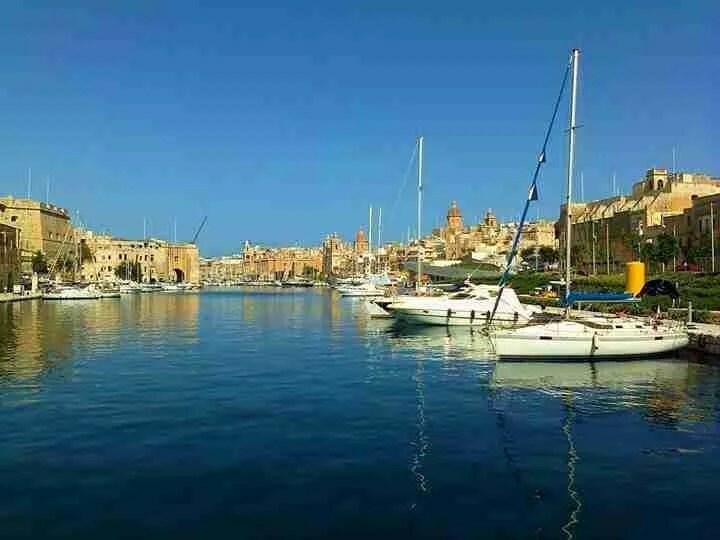 Choose Maltaway Travel for a trip to Malta means book your hotel web prices but additionally have the right and free advice of someone who has seen and selected hotels , for those who know the island to suggest the ideal location , for those who know how to tell you what to do and see. Booking business travel isn’t like booking personal travel. In business travel, time is money. There are the direct costs for things like airfare and hotels, but there’s also the opportunity cost of lost time, which often means time not working. Travel time is dead time, so make the most of direct flights and minimize your nights on the road when possible. In business travel, it’s not just weather that will determine your packing list. Think about what environments you will be in. How many business meetings will you attend? What’s the dress code for those meetings? Will there be dinners with colleagues? If so, will they be formal business dinners or informal dinners which could necessitate dressing up or down for the evening? In business travel, it’s almost inevitable that something will go wrong. Roll with it! You can take steps to get ahead of problems. For flight delays and cancelations, make you have an app to alert you. When you hear about cancelled flights, re-book immediately. If you work with a travel agent, make sure to have the phone number with you so you can address any issues quickly. Keep meticulous track of your spending and save all receipts. While not impossible, it can be extremely challenging to get a replacement for a lost receipt. Additionally, every year millions of dollars are lost by business travelers who fail to fully expense everything they are entitled to such as tolls, tips to hotel staff and even meal per diems. If your company uses Concur to manage travel and expense, take pictures of your receipts as you get them—these pictures can be forwarded to receipts@concur.com later to make uploading your receipts a breeze. Better yet, ask your manager if your company has purchased ExpenseIt as a part of it’s Concur package. ExpenseIt is an invaluable tool for business travelers that allows you to expense as you go. All you have to do is open the app, snap a photo and it will automatically upload the receipt to your Concur account and match it to the correlating expense. This will save you loads of time, and you won’t have to worry about carrying around all those receipts. Many companies have policies requiring you to use a corporate credit card for all charges, while other companies may allow you to use your personal card for some charges—thereby accruing the benefits associated with your personal card. There will also be times when your corporate card may not be accepted by some merchants. In this instance, it’s especially important to be aware of your company’s policy and also keep careful track of charges. You don’t want to personally pay for a business expense accidently. Expense reports are the bane of every business traveler’s existence, but they’re critical. Many companies have strict policies for how long you can go after a trip before you must submit your expense report. If you delay, you can find your company docking your reimbursement, or you may be responsible for interest charges. Frequent flyer and hotel loyal programs are a benefit of business travel. At most companies, you keep these rewards for personal use. Be sure to sign up for all the programs you can. You can never predict your future business travel plans, so being in all relevant programs will pay off in the long term. In the short-term, consolidating all your travel with a few providers can help you build status and earn additional perks. UK code of practice that stipulates that if a director has served more than nine years on a board they are no longer classified as independent. Google’s parent Alphabet and Warren Buffett’s Berkshire Hathaway head a list of more than 800 US companies that could come under pressure to refresh their boards, under new guidelines being floated among shareholders. ISS, the influential corporate governance adviser, is considering targeting companies where boards are stuffed with long-serving directors or where there have been no new members for years. In its latest annual survey ISS is asking clients their opinions of boards that have failed to appoint a new director in five years, where the average tenure of directors exceeds 10 or 15 years, or where more than 75 per cent of directors have served 10 years or longer. Its findings could form the basis for changes in its investor voting guidelines. A Financial Times analysis of data from ISS Analytics, the company’s research arm, reveals that more than one in four of the 2,900 US boards closely tracked by ISS would fail on at least one of the mooted measures, including nearly 200 companies that have an average director tenure greater than 15 years. Alphabet and Berkshire are the largest companies to fail on two, but the list of double-offenders also includes retailer Bed Bath & Beyond and Intercontinental Exchange, owner of the New York Stock Exchange. On Berkshire’s board, Bill Gates, at 11 years, is one of the company’s freshest appointments, while four others have served more than 20 years. At Alphabet, five directors have served more than 15 years, including Google founders Larry Page and Sergey Brin. Questioning the effectiveness of “male, stale, frail” boards reflects growing investor interest in improving director diversity, with shareholders increasingly demanding a portion of new directors as well as a formal board refreshment process. Potential sanctions ISS could consider include voting against the chair of the board’s nomination committee or against long-tenured directors. If a consensus emerges, it could still be several years before voting guidelines are changed. The absence of a formal corporate governance code in the US, unlike in most markets, has been cited by investors as the reason American directors tend to be older, longer serving and less likely to be women than in many other countries. The voting guidelines from ISS and Glass Lewis, its rival advisory service, are the nearest the US comes to a code of best practice, and they hold considerable sway because public pension funds and institutional investors follow their recommendations. 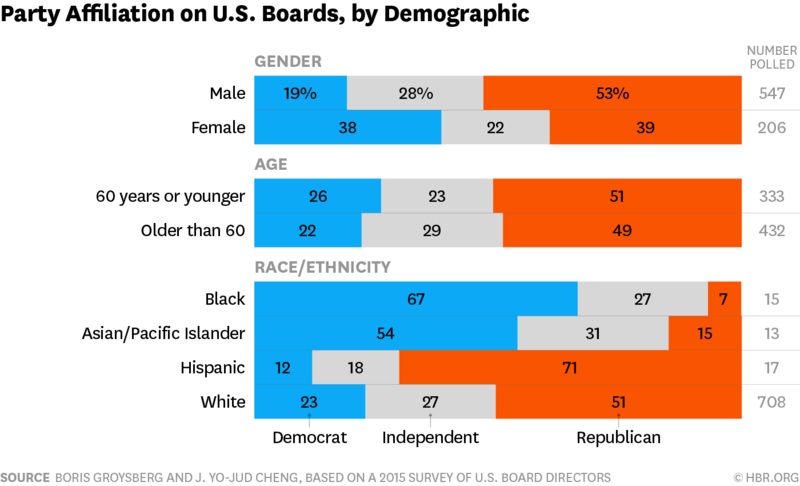 US board composition: male, stale and frail? How male, stale and frail is your company? At Alphabet and Berkshire, more than three-quarters of the directors have served more than 10 years, and the average tenure is greater than 12 years. Both have, however, appointed directors in the past five years, unlike 100 other companies in ISS’s data set. Alphabet and Berkshire declined to comment. Corporate governance codes in most markets assume that long-tenured directors are less independent after years of working with a company and its management. Their removal also offers an opportunity to increase board diversity in age, gender, race and skill sets needed today such as cyber security, Mr Goldstein said. The findings come shortly after an FT analysis that showed the diversity of US boards lagged behind Europe’s in regards to age, tenure and gender. In Britain, for example, there is a UK code of practice that stipulates that if a director has served more than nine years on a board they are no longer classified as independent.